So you’ve got a collection of family photographs and/or your favourite art/quotes which you’d like to display in your home. Now you’re thinking…HOW? The creation of a gallery wall can be SO effective and a great way to make the most of a blank wall, see here. 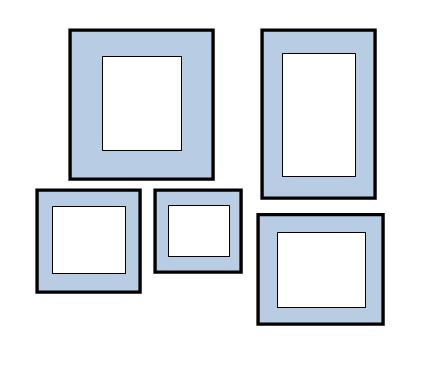 First things first, choose which pictures/artwork you would like to display and lay them out in front of you. Now you have the task of choosing a layout. 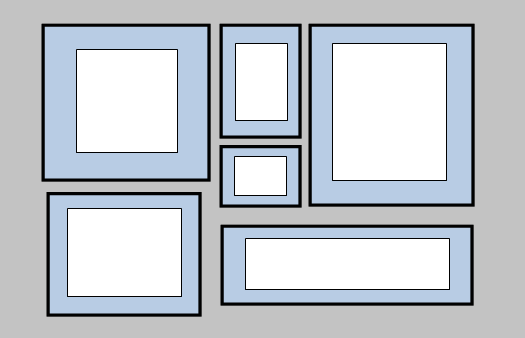 Whether your display is behind the sofa, in a hallway or in the bedroom the following layouts will provide you with a good template in which to start. 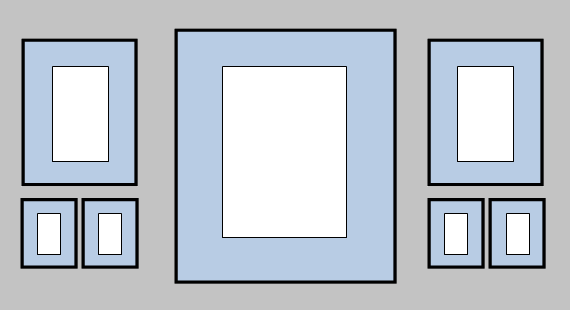 Don’t worry if your picture sizes don’t match up exactly, it’s all about creativity and what works for you! 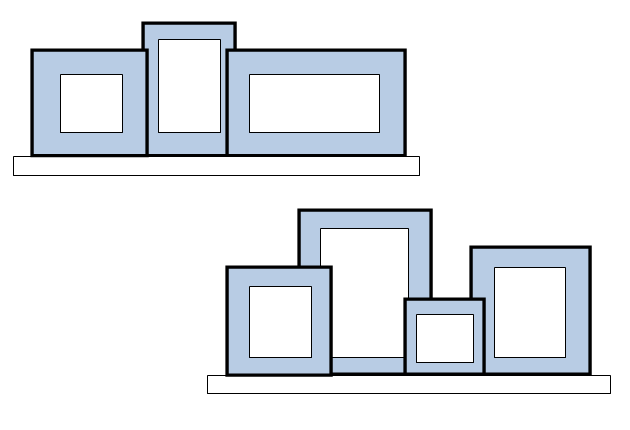 Draw around each frame onto a piece of paper, cut each paper frame out and stick them on the wall with masking tape. Stand back and take a look. Don’t like what you see? Change it! Once you’re happy, start putting the nails into the wall at the relevant positions. Tear away the paper frames leaving the nails standing proudly. Stand back and admire your new gallery wall! Be unique – pick your favourite quotes, objects which evoke memories or keepsakes. Be proportional to the wall size, you can always develop your gallery and add more pictures – keep this in mind! We hope this post has been helpful. 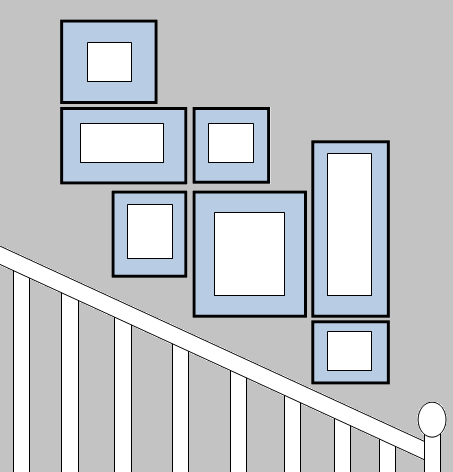 Have you created a gallery wall? We would love to hear from you.